Welcome back! So, If you look closely you’ll notice the floor I’m standing on is wet! It’s not because it rained or snow, but the snow was melting! It was that warm yesterday and I took advantage. 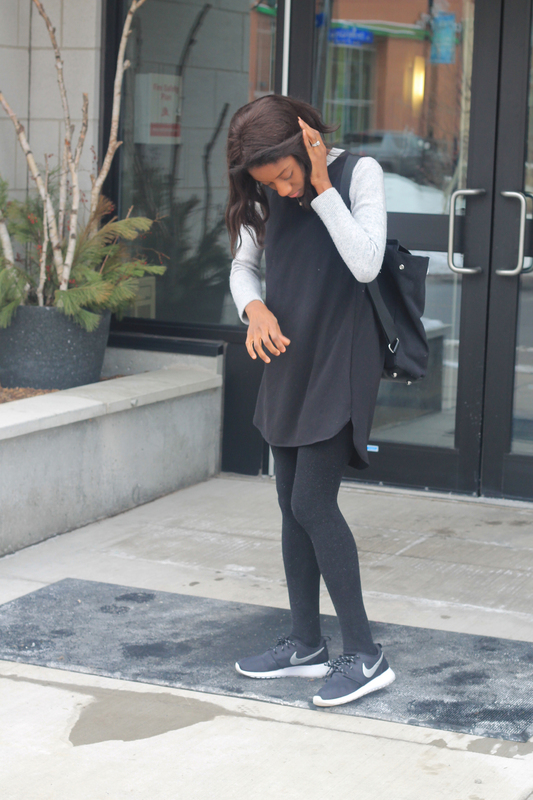 For those who read my post on how to wear dresses in the winter … I took my own advice! 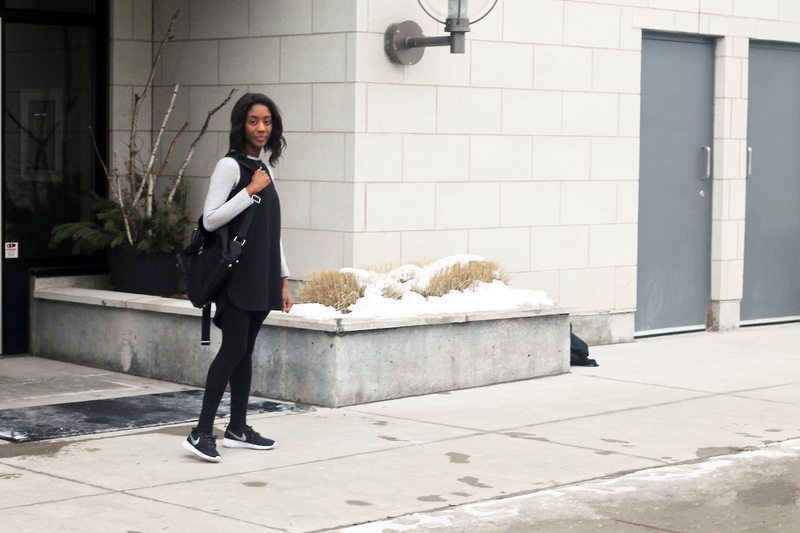 Once the temperature rose I made plans to wear this all black dress and my favourite Nike sneakers. I was well dressed for the temperature and got to treat myself to some casual comfort. Did any of you take advantage of the warmer weather? Let me know! Thanks for dropping by. The outfit details are down below. Shoes: Nike Roshes || Dress: Winners || Bag: Online Boutique (Similar) || Necklace: Tiffany & Co.
Love this super comfy look.